According to the former president, the term was created by forces which wanted to obtain certain political outcomes. Former President Jacob Zuma has broken his silence over the commission of inquiry looking into state capture. The former president addressed students on free education at Walter Sisulu University in Mthatha in the Eastern Cape on Wednesday, 12 September 2018. 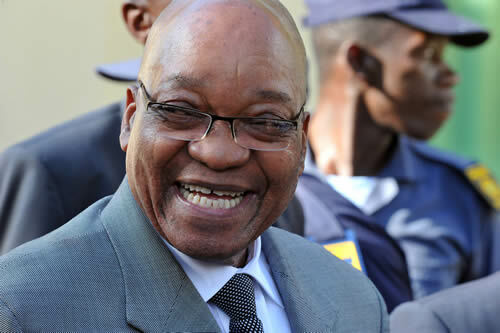 “A state is composed of three elements: the legislature, executive and judiciary… that constitutes the state,” Zuma told students at the gathering. “Does it mean that these three arms are captured? Is it true?” he asked. “My view‚ and I am not disagreeing with anyone‚ these politically decorated expressions…there is no state that is captured. Even when people try to describe it‚ worse when they give evidence‚ there are some people who were doing things with other people‚” said Zuma. “There is no state capture in SA, there are people who did things to others, but there is no such thing called state capture. Let us not swallow everything that is given to us,” said Zuma. Zuma, his son Duduzane and the Gupta family are considered the central figures in the commission, headed by Deputy Chief Justice Raymond Zondo. Zuma appointed the inquiry earlier this year to look into allegations of state capture levelled against the Gupta family. So far, the inquiry has heard from six witnesses including former Deputy Finance Minister Mcebisi Jonas, former African National Congress (ANC) MP Vytjie Mentor and Government Communication Information Systems CEO Phumla Williams – all of whom have implicated the former president and the controversial family.